Saint Petersburg, dubbed the museum capital of Russia, unsurprisingly sees long queues to exhibitions every year. Coupled with raising bridges and first signs of the coming White Nights, this may become an interesting experience despite the undeniable fact that exhibitions are more convenient to watch in the daytime. For those who do not speak Russian, we’d recommend visiting musical performances. In brief, a few dozen of museums, concert halls, churches and other establishments take part in the event. Five bus routes will be organized throughout the night to make it possible to visit as many outlets as possible. Subway also will be operating till the morning. A common entrance pass to all the establishments costs 400 rubles. Some museums will be working till 6 a. m., some will close their doors at 11 p. m. on May 21 or even a bit earlier. Our biggest advice here is to take warm clothes no matter what the temperature is in the morning or in the afternoon. And an umbrella is mandatory as well. 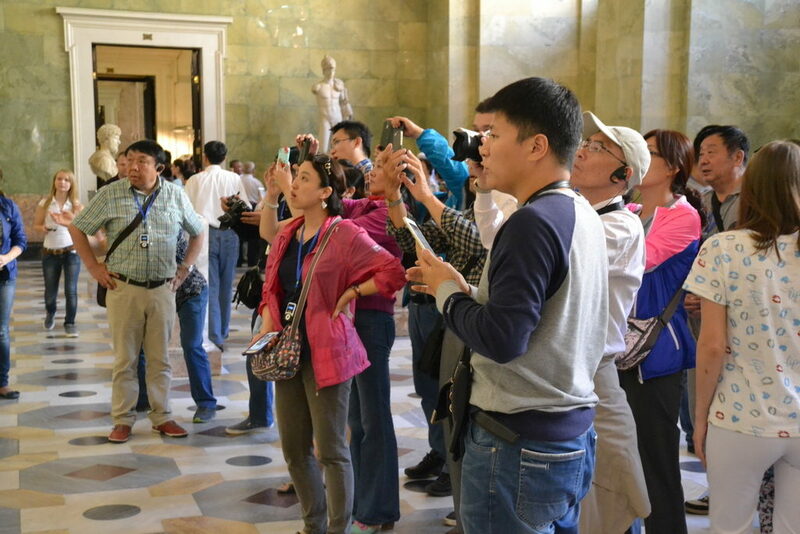 Expect long queues to most museums let alone the most popular ones. To tell the truth, we’ve never considered the Museum night as an event to visit exhibitions, just like a kind of a cultural flesh mob. A specific of this year’s event is the participation of churches, particularly, St. Maria’s and St. Peter’s Lutheran Churches will be performing organ concerts. — Botanic Garden (2, Professora Popova street) will give performances, music and fire shows till 6 a.m. Note that the Botanic Garden is located on the Petrodradsky island which is isolated from the “big land” for a couple of hours in the middle of the night due to raised bridges. The Hermitage doesn’t participate in the night, so you have to visit it within regular hours.